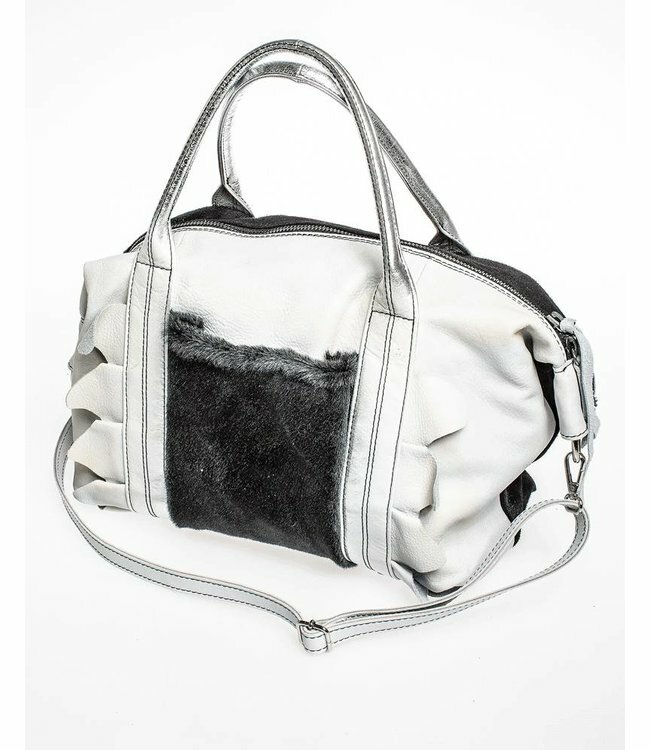 High-quality leather bag in ecru-black, decorated with a black faux-fur inset. Because of its neutral colour, this bag will match a very wide range of outfits. Short, faded denim blouse, grey, with ecru insets, fitted and with a sporty cut.